A substantial part of Alastair’s work is in resource management and local government law. His practice also includes civil, criminal and family litigation. Simon graduated LLB (Hons) from the University of Otago in 1996 and was admitted to the bar in 1997. Initially he worked in the areas of resource management and litigation. While practicing in Auckland his focus moved to commercial and corporate law. Simon returned to Dunedin and joined the Ross Dowling Marquet Griffin partnership in 2002. Since then he has continued to focus on commercial law. His practice includes commercial law, property law and local government law (in particular as it applies to the property and commercial dealings of local authorities). 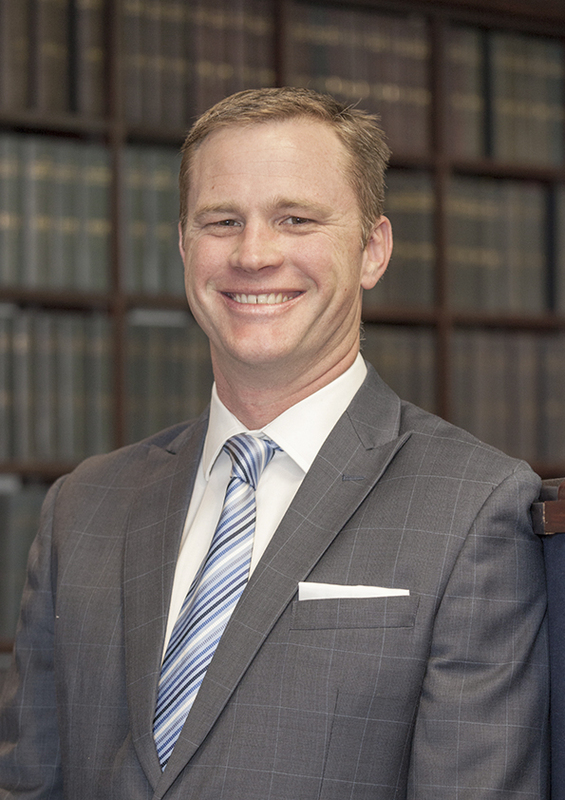 Nathan joined Ross Dowling Marquet Griffin in 2006, and was admitted to the partnership in 2014. He specialises in litigation and dispute resolution. His work includes criminal (defence and prosecution), civil, and resource management law. Nathan is accredited for criminal, family and civil legal aid. Nathan graduated with an LLB/BA (Politics and Management). In addition to being a Barrister and Solicitor of the High Court of New Zealand, Nathan is enrolled as a Legal Practitioner of the Australian Capital Territory Supreme Court (where he was admitted to practice in 2001). Andrew practices in the areas of real estate and business sales and purchases, subdivisions and boundary adjustments, refinancing, family trust creation and management, asset protection, enduring powers of attorney, and the preparation of wills and the administration of estates. He also has experience in the more complex property and asset protection arrangements associated with farm ownership and succession planning. Before joining Ross Dowling Marquet Griffin in 2008, Andrew worked as a Senior Legal Officer with the Australian Government in Canberra in the area of immigration legislation development and drafting, and with the provision of refugee and general immigration law advice and training. He was admitted as a legal practitioner in 1999 and commenced his career as a solicitor in Hobart providing primarily civil and criminal litigation services, together with some commercial and property work. Since her admission in 1988 Clare worked in a number of Dunedin legal firms prior to joining Ross Dowling Marquet Griffin in 2008. Clare works in the areas of property transactions (including house sales and purchases, financing and subdivisions), the preparation of wills, advising on powers of attorney, administration of estates, and the creation and administration of trusts, with an interest in looking after the elderly. Clare is a current member of the Property Law Section of the New Zealand Law Society. Adam joined Ross Dowling Marquet Griffin in 2012 after returning to New Zealand from travelling and working overseas. He practices in the areas of commercial, property, and private client law. His work includes providing advice and assistance with the sale and purchase of property and businesses, leases, refinancing, security arrangements and general legal advice. He graduated from Otago University in 2008 with an LLB/BA (Politics, Philosophy and Economics). He has previously worked in commercial property law and financial markets in Wellington. Thea joined Ross Dowling Marquet Griffin in 2015. She practices in the areas of resource management, family, and litigation law. Thea graduated from Otago University in 2014 with an LLB.